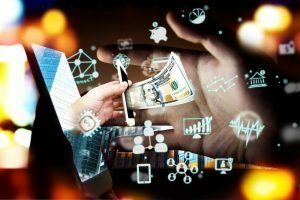 New York-based First Data, a commerce-enabling technology provider recently announced that it had integrated with the EllieMae Encompass Consumer Connect lending platform. Together, the two companies will integrate secure payments technology to process mortgage and appraisal fees, allowing Ellie Mae customers to accept payment for all costs related to the lending process—including loan origination, processing, underwriting, and credit reports. Through this relationship, Ellie Mae will leverage the BluePay Gateway, which is now part of the CardConnect ISV platform. First Data’s CardConnect and BluePay, have recently consolidated into a single integrated payments platform under the CardConnect brand to create an offering that allows software companies to more easily add secure payment processing within SaaS, mobile, and point-of-sale applications. According to a statement by First Data, in 2017, Ellie Mae reported total revenue of $417 million. Ellie Mae serves 3,500 financial institutions and mortgage lending companies, and processes more than one-third of mortgage loan applications in the U.S. Ellie Mae has been an enterprise merchant of BluePay since 2010. The BluePay Gateway is integrated with Encompass, Ellie Mae’s digital mortgage solution, and now provides additional functionality within Ellie Mae’s recently announced Encompass Consumer Connect. Previous: Is Home Price Appreciation at the Tipping Point?